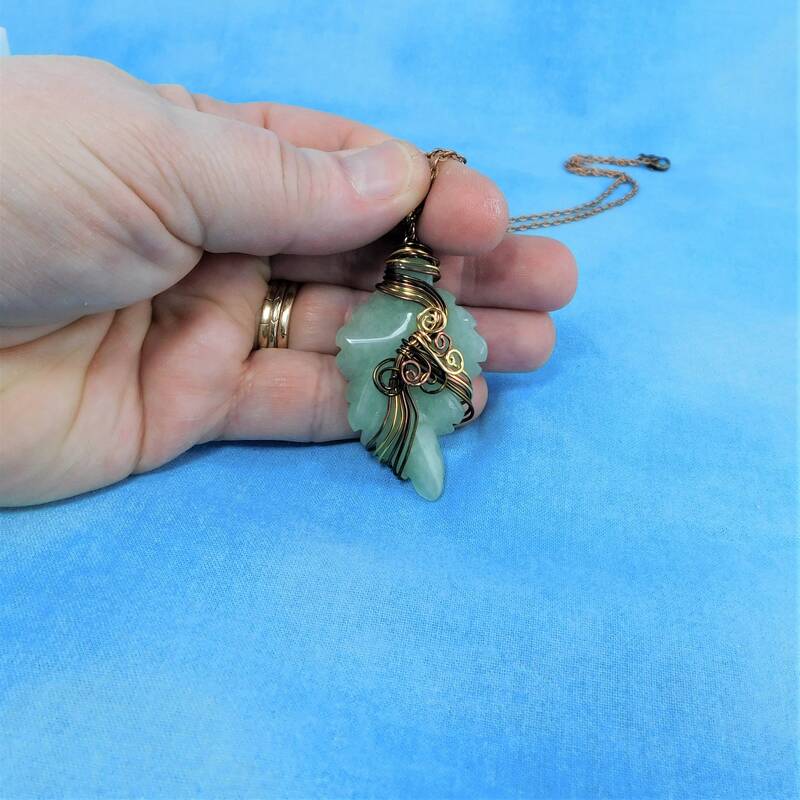 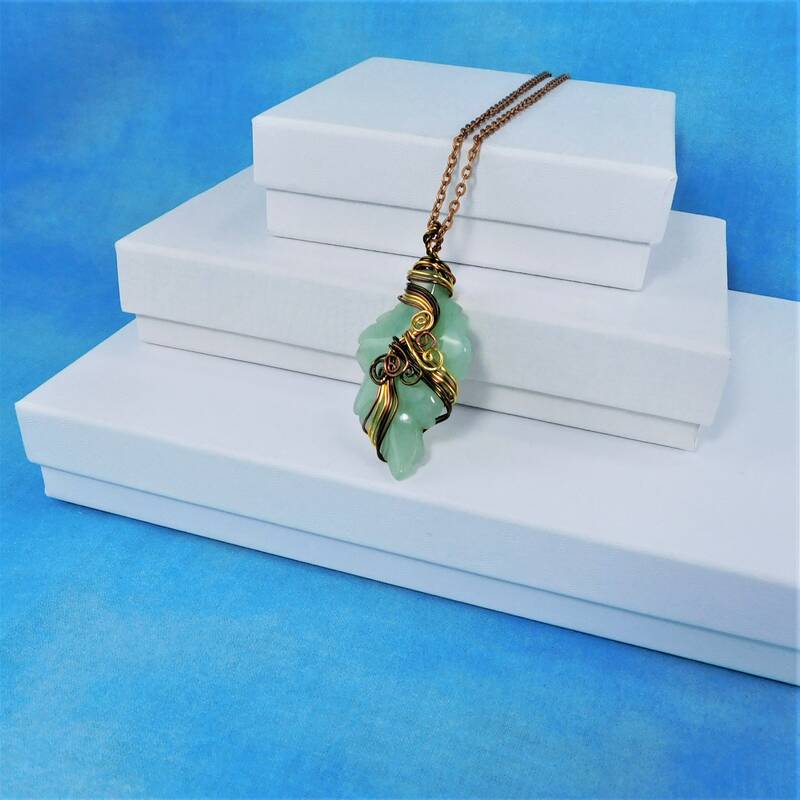 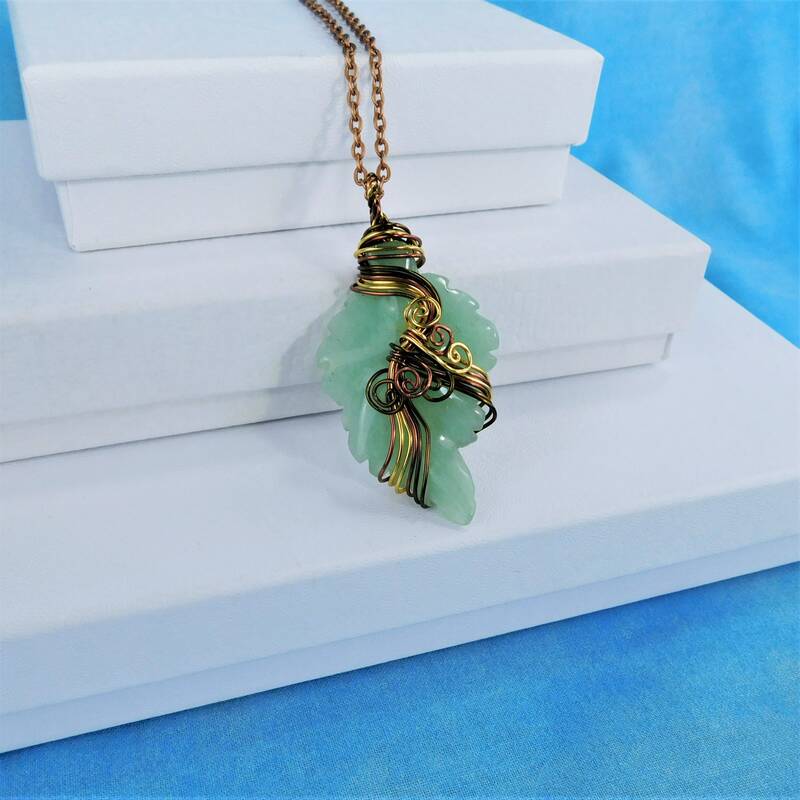 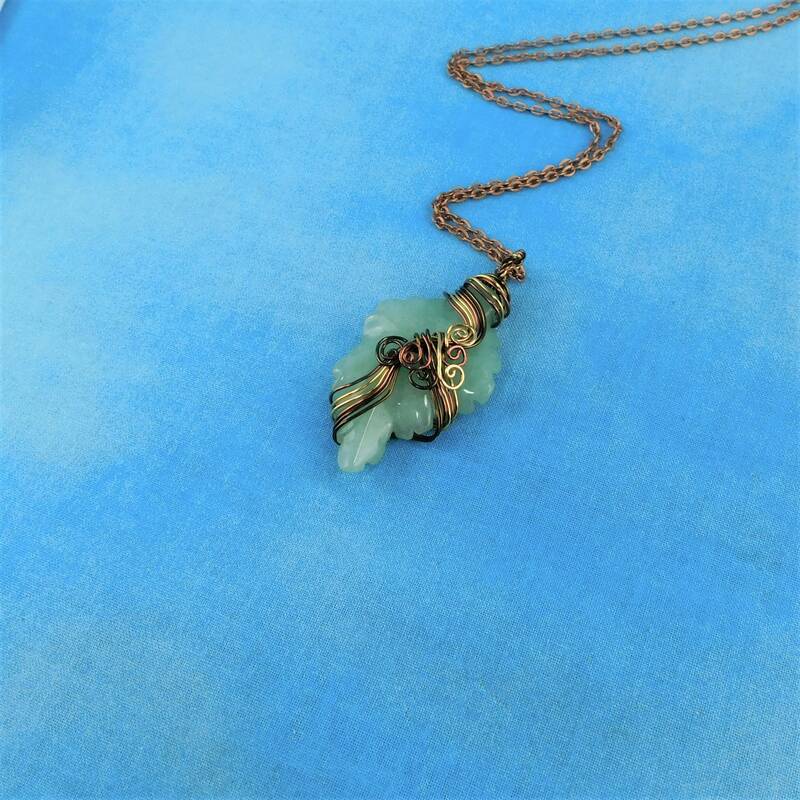 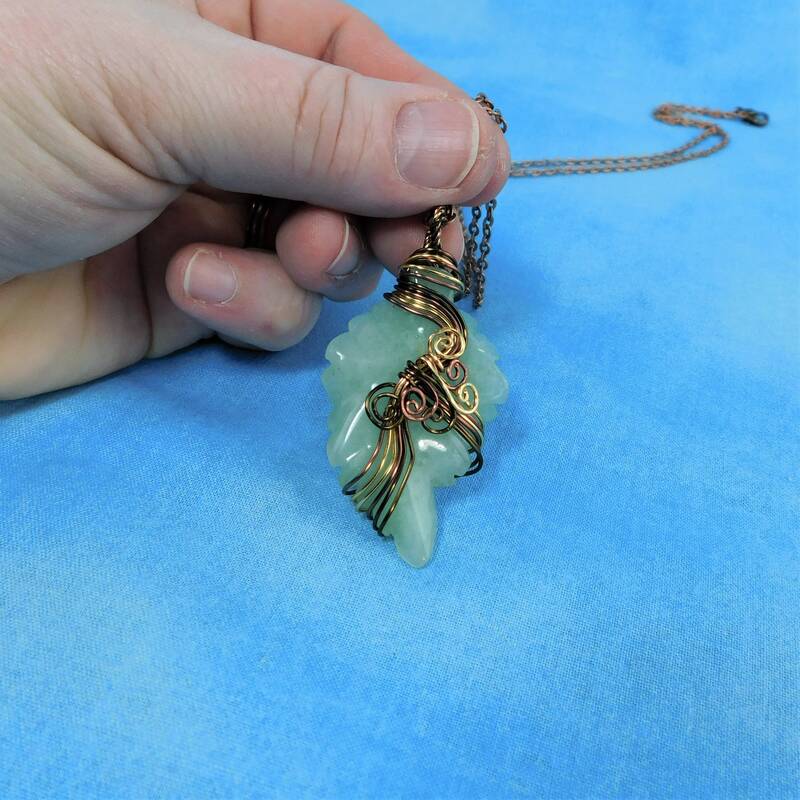 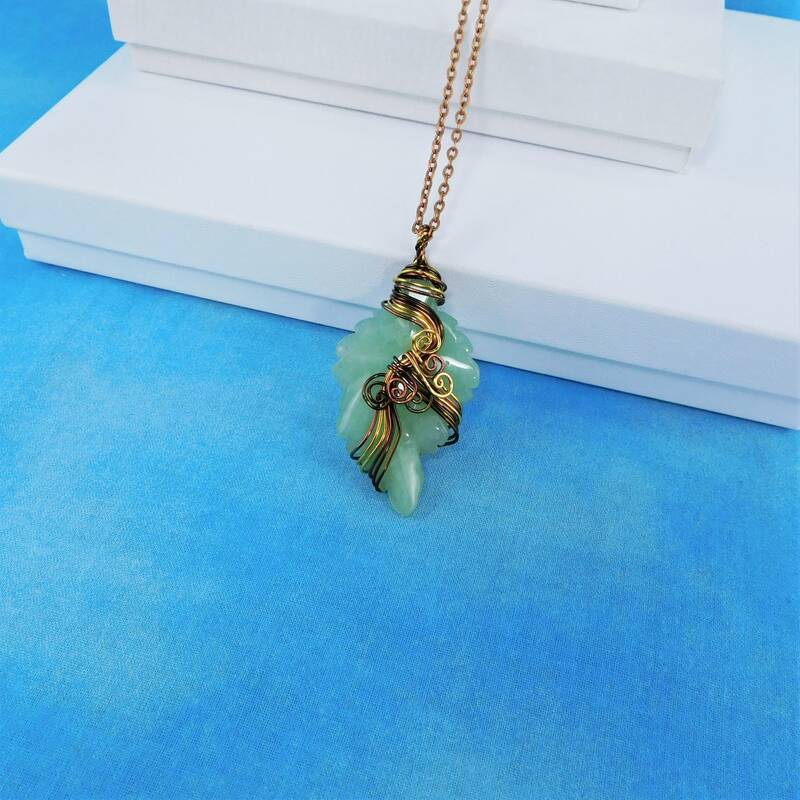 A carved green Aventurine leaf is artistically wrapped with three shades of non tarnish copper wire, creating this unique pendant. 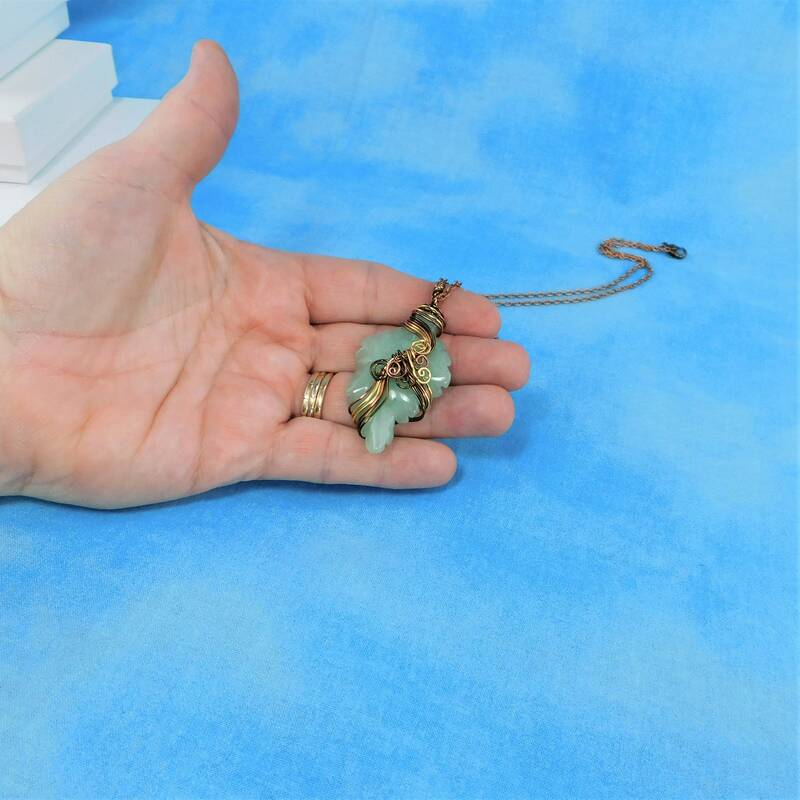 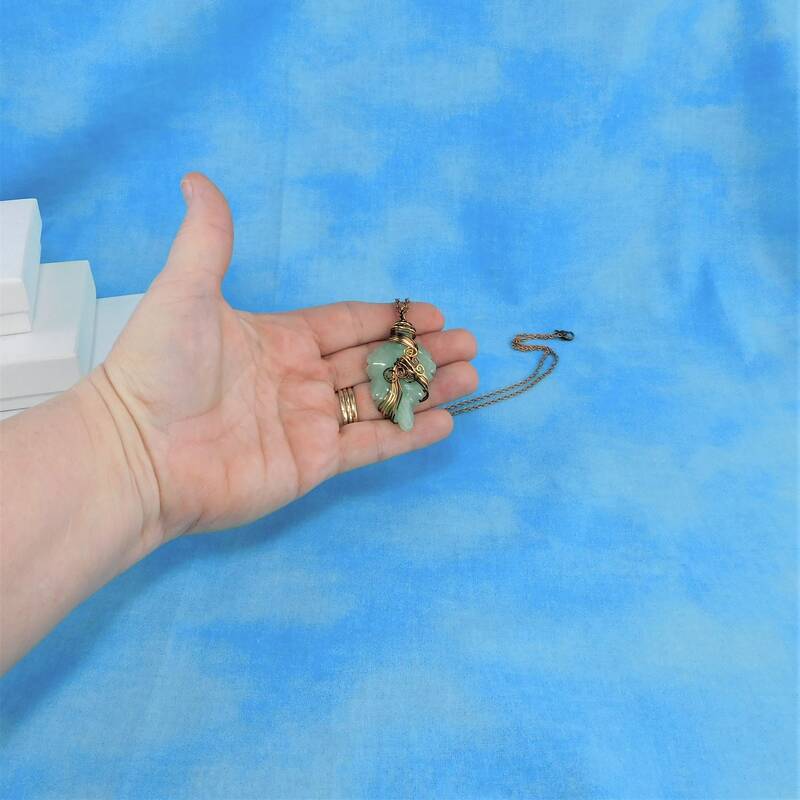 The pendant Measures 2 inches by 1 inch. 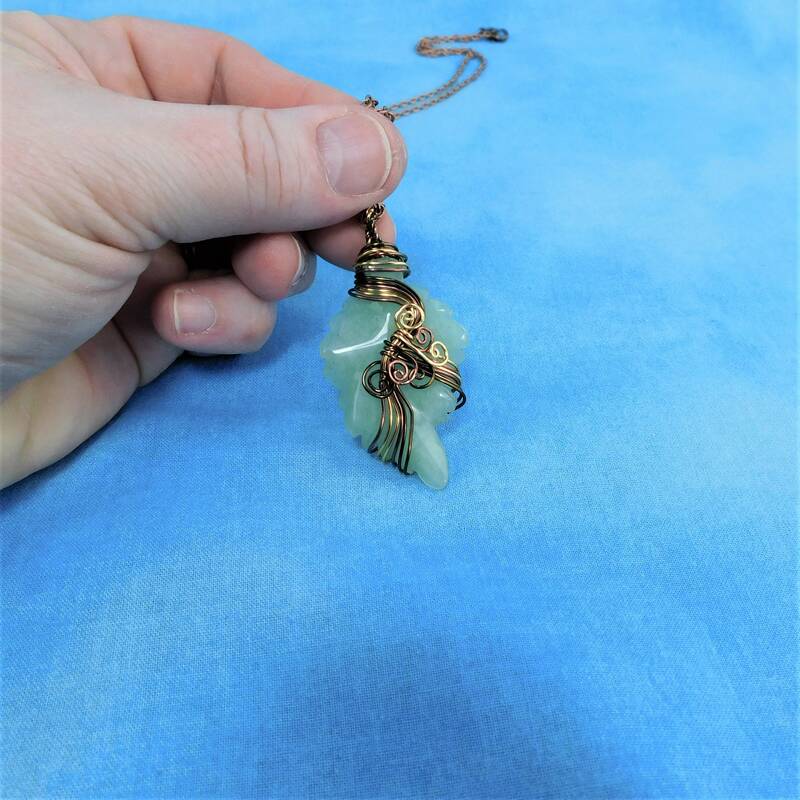 The lovely green colored stone is enhanced by the warm colors of copper wire. 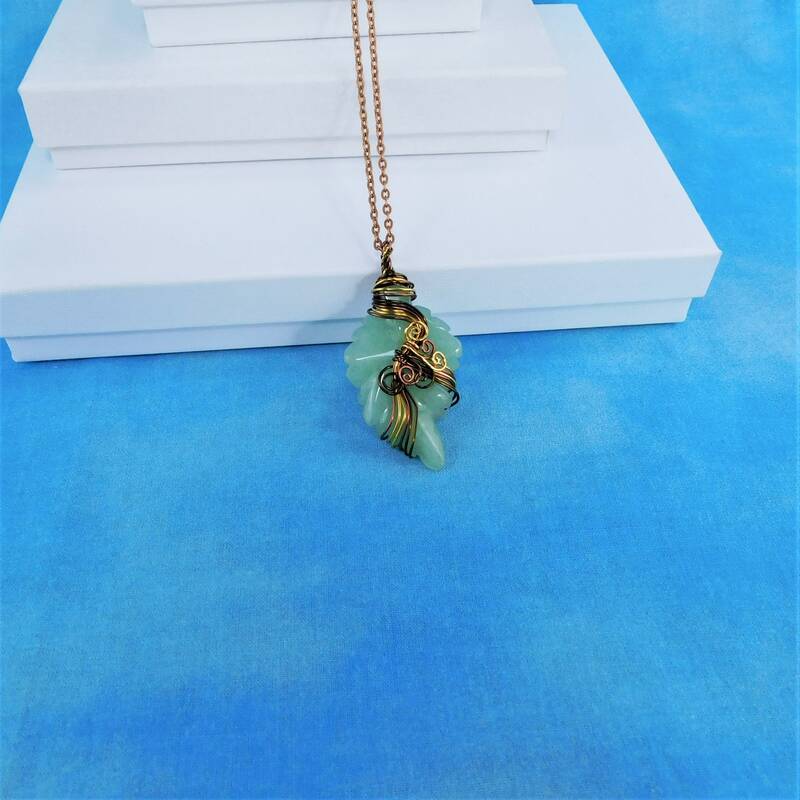 This is a one of a kind necklace that will be appreciated by anyone who loves the natural colors of stone and copper.